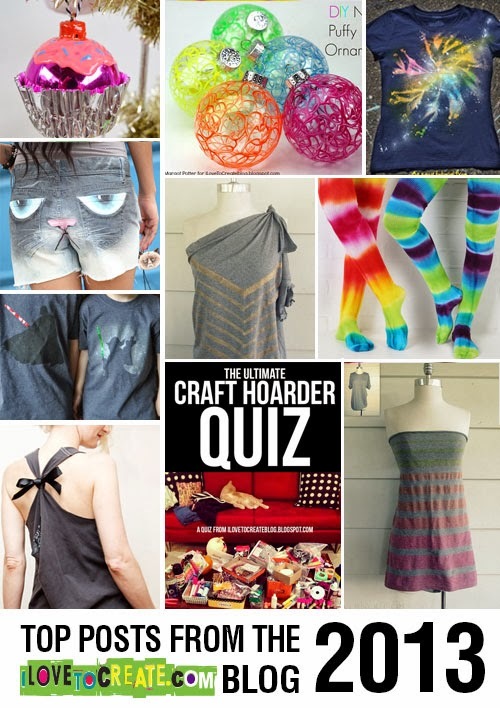 Both Alexa (our Social Media Specialist) and Kathy (the Crafty Chica) thought it would be fun to make a quiz for the blog in honor of those with the biggest craft stash of them all and it was a big hit! 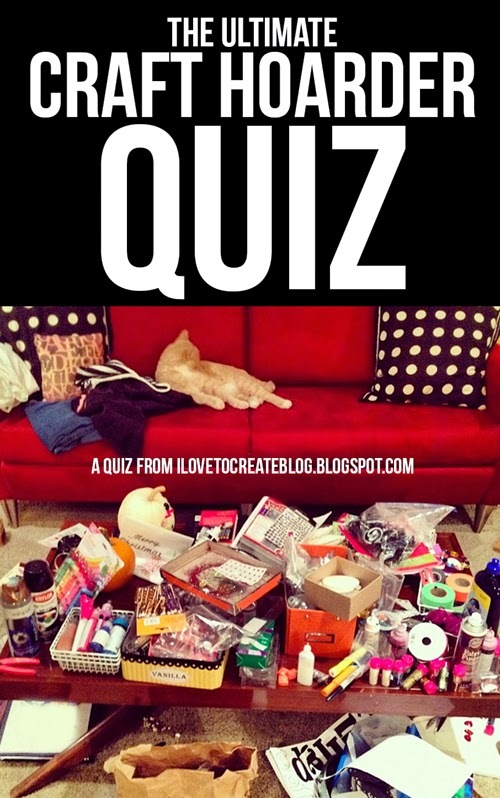 It turned out to be a super humorous quiz and Alexa's visual (her actual living room, complete with her cat Dexter) struck a cord with folks. Everyone excitedly shared their results in the comments and on Facebook! Cheri Heaton of I am Momma Hear Me Roar made these adorable and simple tees for her sons Rex & Baden using our Tulip Soft Paint, sparkly Tulip Shimmer Sheets and Freezer Paper Stencils. 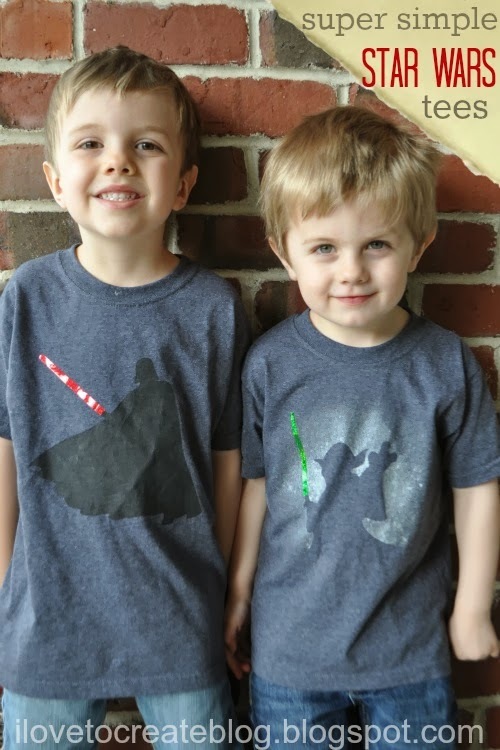 We'd like to think the draw was the Star Wars shirts, but her sons being the adorable models definitely made this project popular! Jaderbomb's Jade Harrington brought us these super cute DIY cupcakes that looked good enough to eat! Her great photography and super easy directions really was the icing on the cake for this sweet project! 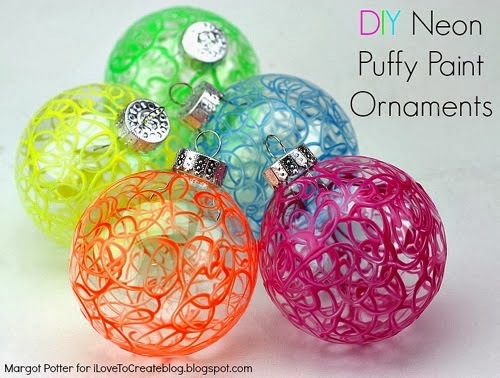 Margot Potter's simple DIY Neon Puffy Paint Ornaments were eye candy for sure! 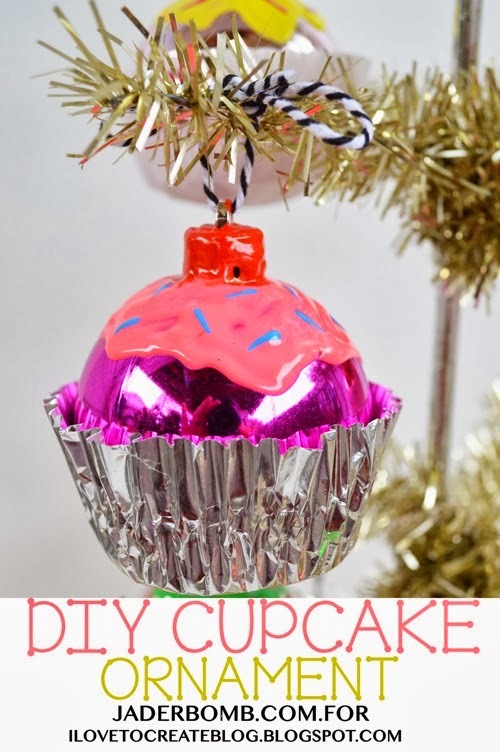 The fact that they only took 2 easy things to make...glass ornaments and Tulip 3D Fabric Paint, made these a cinch to make and as we know, everyone LOVES and easy and great-looking project for the holidays! 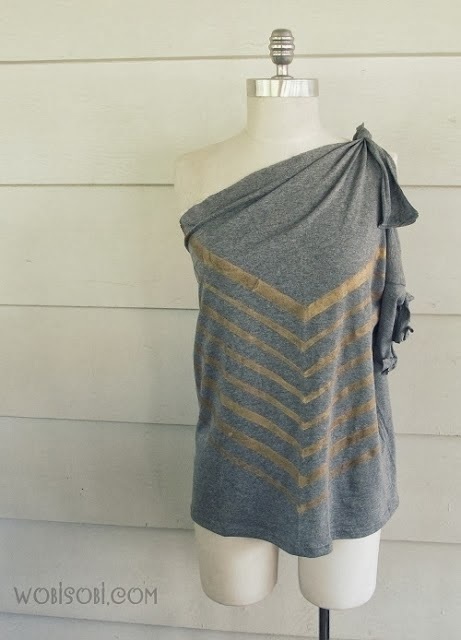 Anne of Wobisobi shared this fabulous DIY with us using Tulip Soft Paints to accent a man's tee into a fashionable top! Fashionistas rejoiced at her amazing hacking skills (seriously...this started as a boxy t-shirt!!!) and this project was an instant Pinterest favorite! 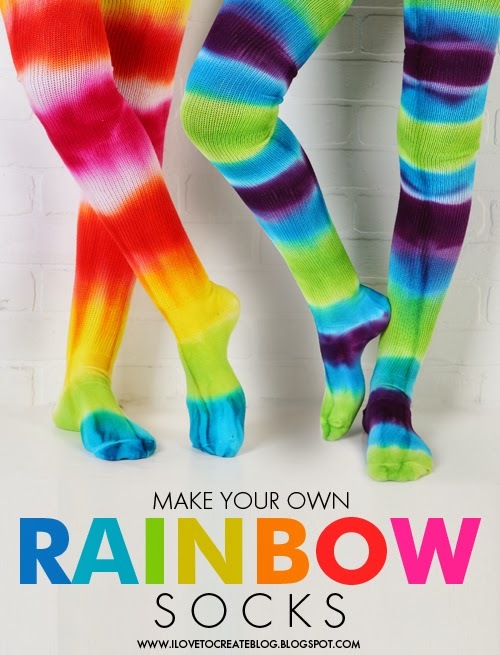 Our tie dye expert Lauri Eaton showed how to make these colorful sock leggings in an easy how-to tutorial using Tulip One-Step Tie Dyes! Brandi, our Studio Traffic Manager modeled these crazy socks (originally purchased undyed from American Apparel) for our fun photo shoot! We duplicated her legs into the same shot for the photo! 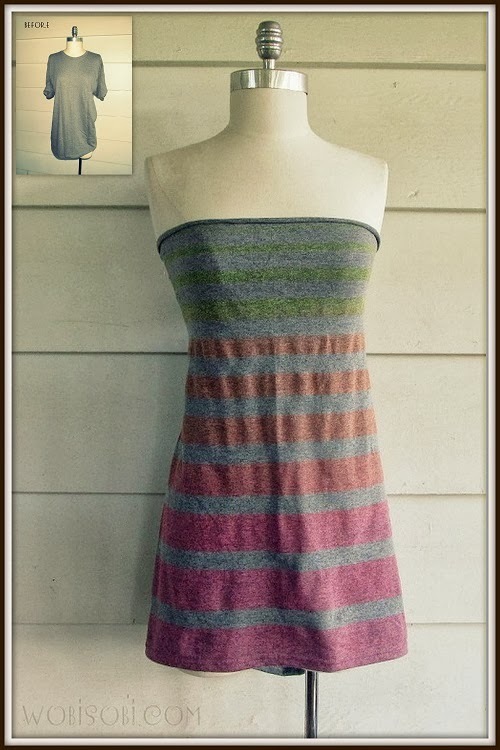 Another project that was a hit from Anne of Wobisobi was th is Striped Strapless No-Sew Shirt painted with our neon Tulip Fabric Sprays. Who knew you could make a dress from a men's tee? Obviously Anne did and her fans (and ours) loved the inspiration! 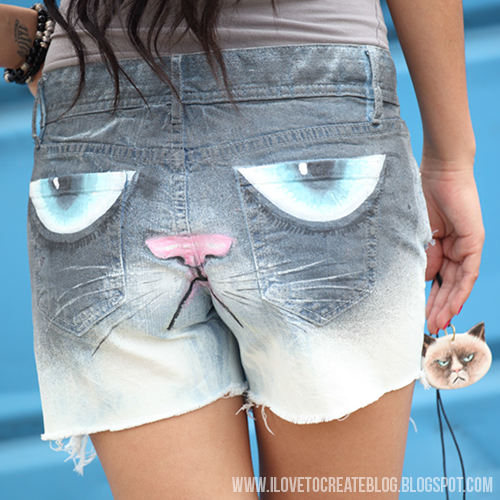 Suzie Shinseki, our resident painting expert, brought her A-game with these hilarious Grumpy Cat shorts! Suzie was challenged to decorate a pair of plain shorts in any style of her choice and immediately envisioned a Grumpy Cat face when she eyed the back of her shorts. LOL! These shorts quickly went viral, landing on sites like Buzzfeed, MakeZine, and Outsapop! Most everyone who saw them laughed hysterically, but we did get a handful of indecency complaints as well. Trinkets in Bloom blogger Cathy Attix showed us how to add a pretty twist to a vintage rocker shirt with this edgy t-shirt hack! This further cemented the fact for us that t-shirt hacks aren't going anywhere anytime soon! This shirt even got picked up by the popular trend site Trendhunter! And finally, our number one project from the blog is this fabulous dye galaxy shirt from Lauri Eaton! Lauri does a lot of fun dye experimentation in our studio and after making this shirt, she shared and wowed the whole design team with this project. 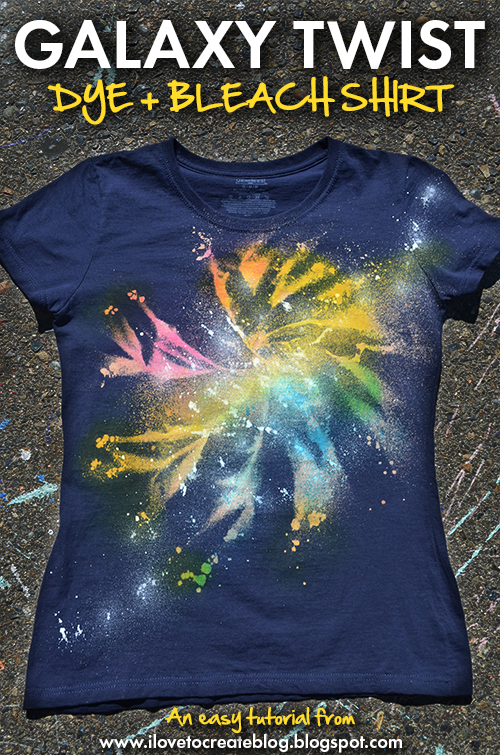 She captured the galaxy art trend and gave it her own signature touch! We knew it immediately had to be a project for our blog and a video for Youtube! See Lauri make the shirt below! Will be ordering another one today. I was a bit rolex replica as I tried ordering through another website before and I never received it. Really happy with the service from you thus far. Hoping you can help me with the replica watches uk questions for the next purchase. How do I change the time and date on the Omega Seamaster. I'm now after a tag heuer replica uk I think 45mm case is a little to big for my wrist. Do you have anything around the 40-42m mark. Also, can you deliver quicker. I would like to have this delivered before my breitling replica on the 16th March. I don't mind paying extra for quicker delivery. Their customer rolex replica sale is a joke in my opinion. I called them several times and seems like they have 2 or 3 different people that answered the phone. They did not want me to return the replica watches sale and even when they finally said I could return it They wanted me to pay for the return shipping.